I jest, of course, but isn’t this review simply lovely? To pick up your copy, please click on the link to the right. If you write a review as charming as this one, I will definitely put you in my list of my most favourite people. 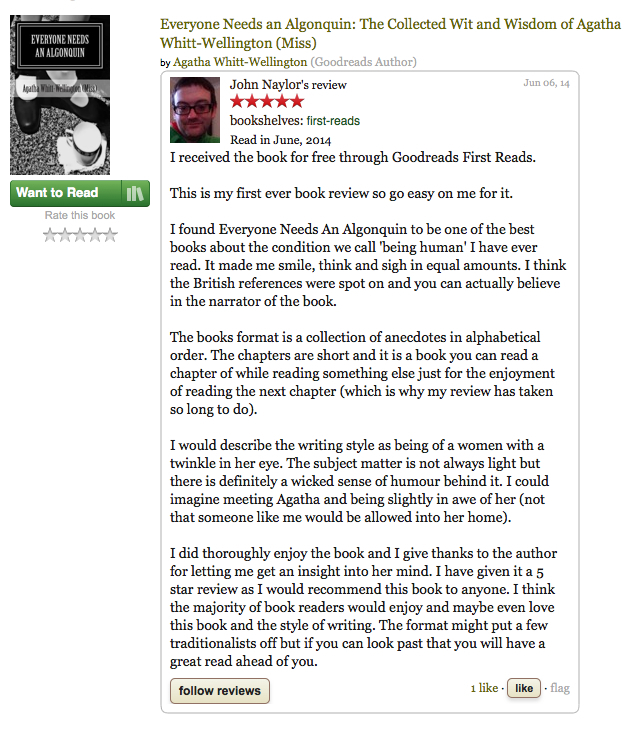 Agatha: What a lovely and brilliant review. Congratulations! I read it while I was also reading your book for the thirteenth time.